InitMarketing helped Magnolia launch the new Magnolia On Air at Gilbane Boston Conference 2008. Magnolia On Air is a content management solution for the broadcast media built on top of Magnolia Enterprise Edition. 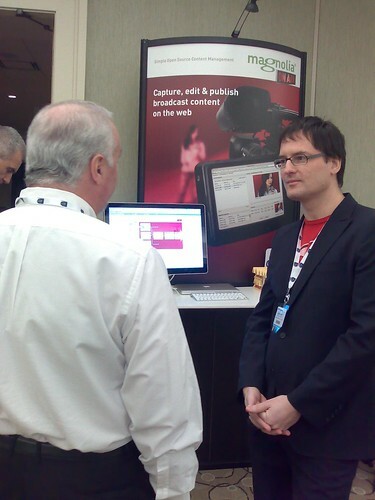 Boris Kraft, CTO Magnolia, talking to a conference participant in front of the Magnolia booth. I am also here in Boston, enjoying the conference and meeting lots of people from the OSS CMS space.